FifaOnTheRocks: FIFA World Cup 2014 - Official Ball By Adidas "Brazuca"
FIFA World Cup 2014 - Official Ball By Adidas "Brazuca"
Now FIFA has confirmed the the Official match ball of 2014 World Cup by Adidas called “Brazuca” which have only 6 panels, the official design of the ball is released . Brazilian people choosed the name through online voting and “adidas Brazuca” recieved 70% of the votes. 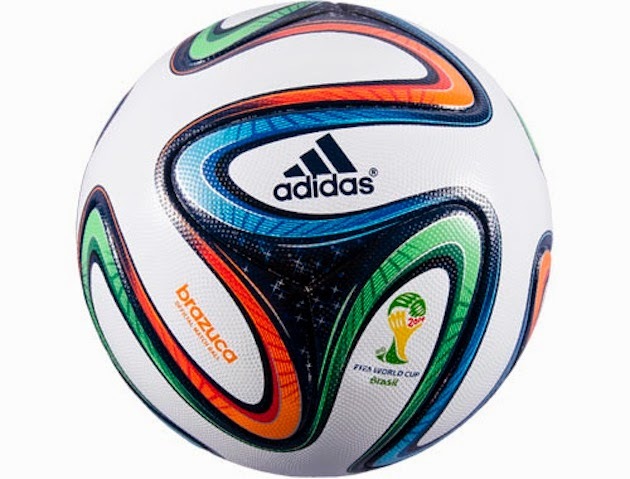 The Adidas Brazuca is the official match ball of the 2014 FIFA World Cup, It is being made by the company Adidas, a FIFA Partner and FIFA World Cup Official Match Ball supplier since 1970 (more than 30 years). This is the first FIFA World Cup ball named by fans. The ball is manufactured in Sialkot, Pakistan.